Home > Continuing Education > Are You Staying Ahead of the Ultrasonic Curve? Today, ultrasonic instrumentation goes far beyond the removal of calculus; when used as part of modern debridement strategies, it can lead to better resolution or reduction of oral inflammation. Despite the benefits of ultrasonic instrumentation, clinicians continue to rely on the technology to remove calculus and are much less focused on using ultrasonics to remove and disrupt biofilm. 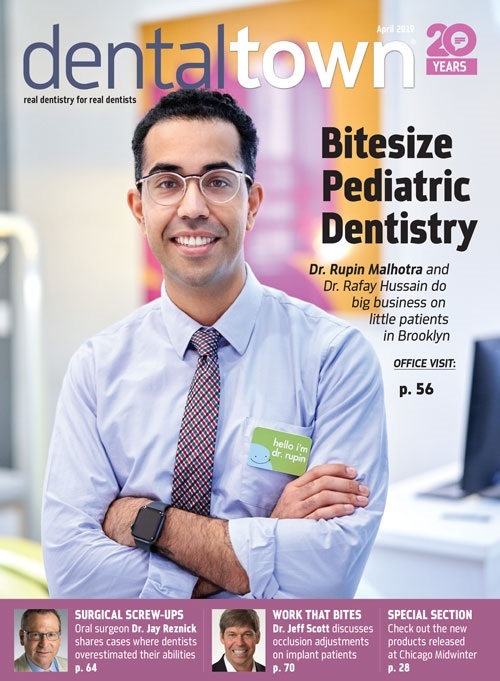 Research shows that dental hygienists are not maximizing ultrasonic instrumentation in their practices, which limits their ability to help their patients improve their oral and overall health. This article will focus on best practice standards that will help clinicians improve: the access or removal of biofilm and light calculus; the preservation of root structure; speed of treatment; and the wear rate of ultrasonic inserts and tips. Dani Botbyl, RDH, is a leading authority in ultrasonic education who for the past 17 years has served as the national clinical educator with Dentsply Sirona Canada. Botbyl has developed and presented evidence-based educational programs specific to ultrasonics to dental hygiene students, pre- and postdoctoral dental students, faculty and practicing clinicians nationally and internationally. She has published numerous articles in industry and peer-reviewed journals. Her current research interests include the educational preparedness of dental hygienists for ultrasonic instrumentation. List four aspects of ultrasonic instrumentation design that affect the removal of deposit and the preservation of tooth structure. Discuss how ultrasonic instrument characteristics— length, diameter, cross section and shape—can improve the removal and disruption of biofi lm and light calculus. Defi ne and state the clinical significance of vertical orientation and transverse orientation of ultrasonic instruments. Discuss how instrument selection can be a cost-savings strategy for practices. State the benefi t of adapting the back of a curved ultrasonic instrument to furcations and concavities. Discuss how the back and lateral surfaces of a curved ultrasonic instrument can be adapted for successful removal and disruption of biofi lm and light calculus. In the past 12 months, the lecturer/speaker declares that she has a financial interest, arrangement or affiliation within the field of dentistry or health care with Dentsply Sirona Canada.